Yikes. If there’s one game that you just assume that everyone and their mom owns, it’s probably Halo 3. Well, at least that’s what I assume anyway. Not so, though, if the latest sales numbers are to be believed. After less than a year since its release, Wii Fit has surpassed Halo 3 in sales in the U.S. Last month, the official number for Wii Fit rose above the 6 million mark, while Halo 3 has sold about 5.9 million since its release in September of 2007. So, is this yet another sign of the apocalypse? 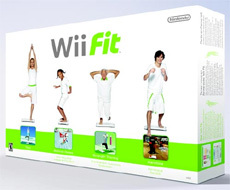 Personally, I didn’t realize that they had been able to keep Wii Fit in stock enough in order to sell this many of them.